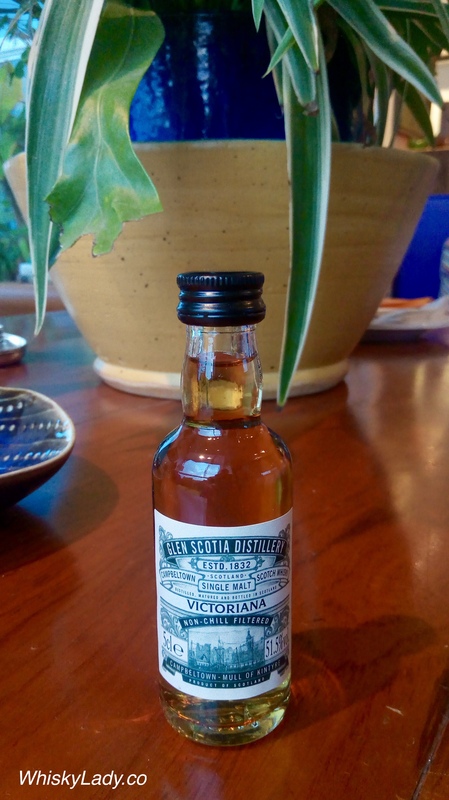 Our Campbeltown minis explorations returned from Springbank to Glen Scotia to crack open the Victoriana NAS cask strength single malt. We both quite enjoyed this whisky – found it perfect for settling down in a comfy cushion chair or sofa, curling up with a nice dram and good book. However to be approached with caution as there is nothing that would hint at its strength – entirely deceptive as has the silky smooth flavourful feel of a 46% not 51.5%. Nose – Dark again. An elegant nose with hints of oak driving the bouquet. Interesting creme brulee notes leading to generous caramelised fruits and finally polished oak. Palate – Sweet and concentrated start with some jammy blackcurrant fruitiness. A big mid palate. Typical tightening towards the back palate. Becomes more austere with water. Finish – Clean and initially sweet.The green bean, with cocoa characteristic.